The Taiwan built machine, INNOVATOR’s VeneerPlus G1 ensures to accurately and firmly bond veneer edges with no visible joint line. 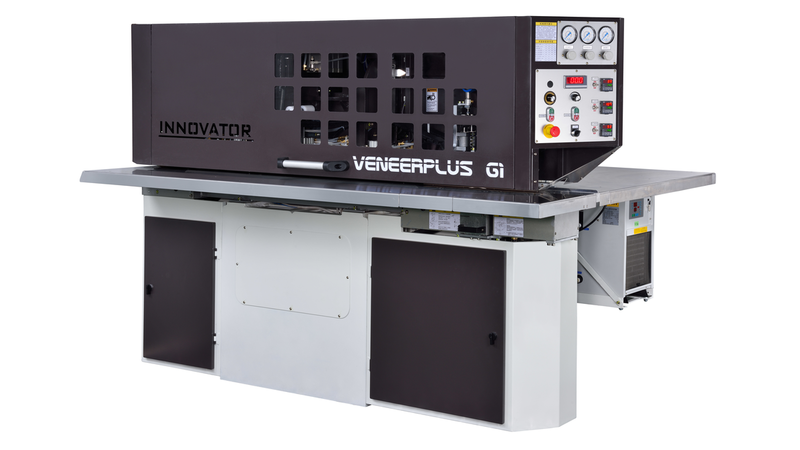 The longitudinal veneer splicer, VeneerPlus G1, is equipped with the integrated gluing system inside. It’s particularly suitable for the furniture industry and high-end decorative plywood. After the well-cut veneer strips are aligned evenly by the synchronized infeed rollers, the veneers are directly conveyed to the singular gluing unit for gluing edges and then transported to the heating section for glue curing. With this VeneerPlus G1, the veneer gluing and splicing processes can be accomplished within one single machine. Coupled with INNOVATOR’s Double Knife Veneer Guillotines (CutMate D series), a perfect veneer cutting and splicing work can be achieved.